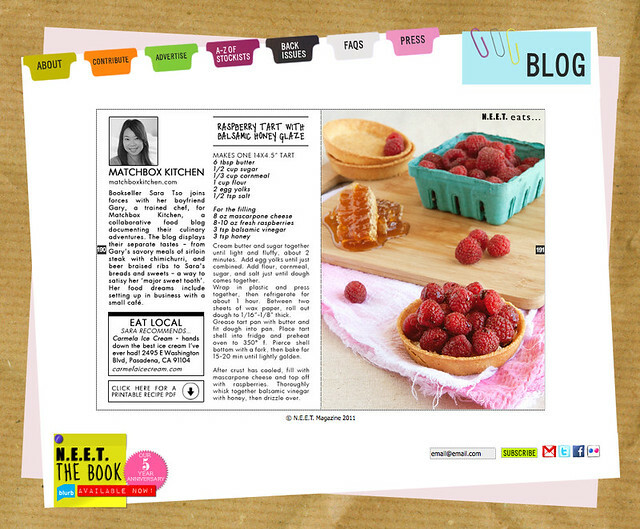 I'm so excited to share that Matchbox Kitchen was a part of N.E.E.T magazine's June issue! I worked really hard on this and came up with a million different recipes but in the end a simple tart worked out best. I hope you try making it because it's easy but sooo good. Coming up with my own recipe (albeit a simple one) was so much fun and made me realize how much I enjoy cooking more and more. And although the photography was a struggle I think these are my best photos yet. I will share more notes and some other shots on Matchbox Kitchen!